One of the most popular diamond shapes for engagement rings is the princess cut, a square-shaped diamond with sharp corners. When looking down on a princess-cut diamond, they can appear to be square, however from the side, they resemble more of an inverted pyramid. Women have long been a fan of the princess cut because of its clean and modern shape that is sure to be a classic for years to come. Even though they are popular in engagement rings, this versatile cut can be used in a variety of different settings, whether it be earrings, bracelets, or necklaces. How did this modern day style come to be? What is the history behind the brilliant princess-cut diamond? Many believe that the princess cut traces back to 1971 when Basil Watermeyer patented a new diamond shape called the Barion cut. This cut proved to be very difficult to create because of the need to cut incredibly symmetrical lines. The Quadrillion, patented in 1979, was similar to the Barion cut, however it had 49 facets as opposed to the Barion, which had over 80 facets. Although it’s important to acknowledge the Barion and Quadrillion, the true introduction of the princess cut goes back even further, to 1961, when Arpad Nagy, a diamond cutter based in London, created a “profile” cut, but often referred to it as a princess cut. Years later, Ygal Perlman, Betzalel Ambar and Israel Itzkowitz made the “princess cut” name popular. The modern day princess cut was formed after years of research to determine what was missing from the market, and what women wanted. The result? A square stone with 58 facets in a similar position to a round brilliant-cut diamond. This unique cut was designed to really show off the diamond’s unique sparkle, offering a similar shine to the round brilliant diamond due to their similar facet positions. What sets the princess cut apart from a round brilliant diamond is not just it’s square shape. Princess-cut diamonds also use up to 80% of the rough stone. What does this mean? 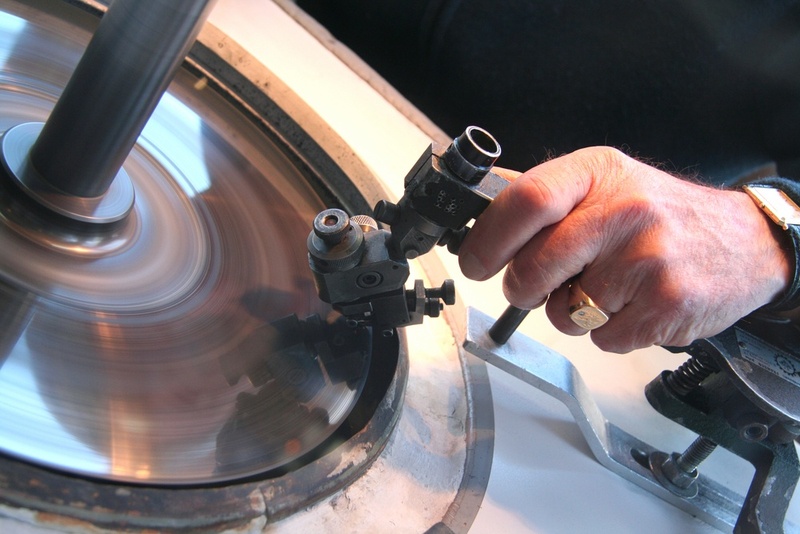 On average, diamond cutters can only use about 40-50% of a rough cut, meaning that 50-60% of each rough diamond is wasted. 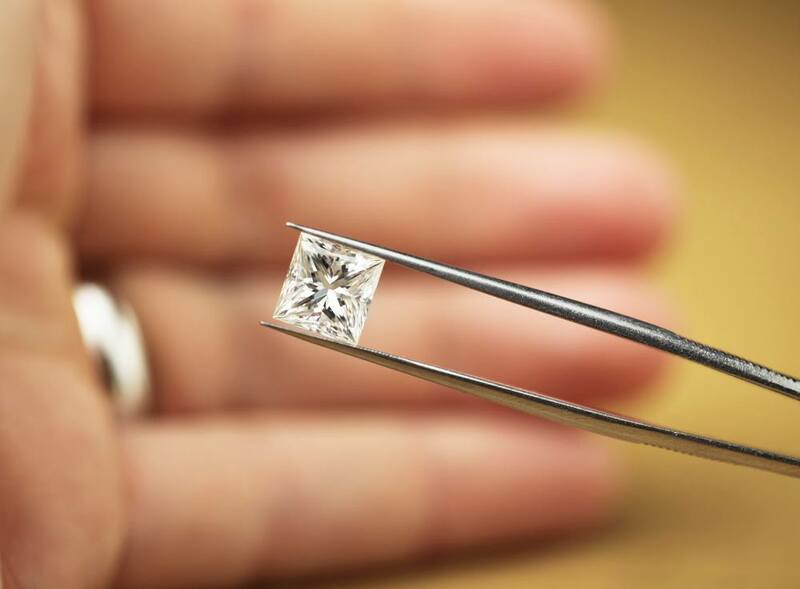 The less the cutter can use, the more expensive the diamond will be for customers to purchase! Because the princess cut uses such a high percentage, especially compared to its similar cut round brilliant diamond, this is a great option for couples who want to spend a little less, but get a high quality look. Typically, a carat of a princess cut will sell for about the same as 0.80-carat round brilliant diamond. Want a princess-cut diamond in your engagement ring? Check out our Princess Engagement Ring Buying Guide! Many styles suit the princess cut well, from solitaire stones to a center princess-cut diamond surrounded by side stones. Whichever style you choose, be sure to pick a setting that fits the princess cut well and protects its corners. Because of the sharp way each corner was cut, these are the areas most prone to damage or chipping. A well-crafted setting will be able to prevent this from occurring to your dream engagement ring!